Did you know that the skin is the largest organ on the body? It’s also one of the most complex. The skin is made up of several layers including the surface, called the epidermis, and the deeper layers including the dermis and the hypodermis. With the skin being the largest organ, it is also home to many different conditions ranging from very simple to very complicated with some being more common than others. For hyperpigmentation, a common skin condition that affects the complexion, it can be both. With that being said, there is still much to know about hyperpigmentation, what causes it, and how to treat it. Let’s take a deeper look at this extremely common skin condition that so many of us will inevitably encounter at some point in life. Hyperpigmentation occurs when the pigment producing polymer in the skin is overactive causing a number of side effects including uneven skin tone and dark spots and blotchy skin. While hyperpigmentation is generally harmless and is one of the least concerning skin conditions on the spectrum, it still is a pain point for many people. The appearance of skin affected by severe hyperpigmentation can cause self consciousness, anxiety, and in some cases depression. The good news is, most kinds of hyperpigmentation are temporary or can be treated and improved over time. To figure out what course of action to take begins with a deeper understanding of the hyperpigmentation conditions and their causes. Hyperpigmentation is a skin condition that is characterized by the darkening of the skin. This darkening can occur spontaneously across the skin, in clusters, and become more noticeable during environmental or skin changes like after an acne breakout or prolonged exposure to the sun. Generally, hyperpigmentation occurs in spots or brown patches and people of all ages, races, and skin types are affected. Hyperpigmentation is a broad term that covers most of the common types of darkening skin discolorations. However, there are three types that make up the majority of hyperpigmentation concerns. 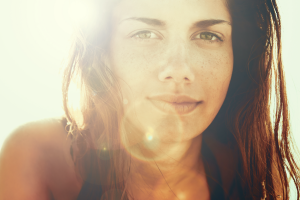 Sun Spots – One of the most common types of hyperpigmentation are sun spots, also known as age spots. These flat dark brown spots appear as hyperpigmentation on the face, back of the hands, back of the neck, and the chest. 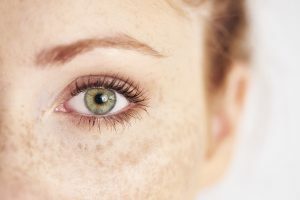 This type of hyperpigmentation is a direct result of sun exposure over many years, which is why they are common amongst those with mature skin or anti-aging concerns. However, sun spots can make their first appearance as hyperpigmentation much earlier on people with lighter complexions or with consistent, unprotected exposure to the sun. This type of hyperpigmentation is heavily affected by a person’s lifestyle making it one of the easiest types to prevent with proper protections. Melasma – A type of hyperpigmentation that has less to do with lifestyle is melasma. This type of hyperpigmentation is hormone related and occurs during periods of extreme hormone changes. Women are most affected by this type of hyperpigmentation as it often occurs during pregnancy or while taking hormone regulating medications like birth control. Unlike other forms of hyperpigmentation that occur on various places of the body, melasma is pretty concentrated on the face. Melasma shows up as hyperpigmentation on the cheeks, around the mouth, and on the forehead. Post-Inflammatory Hyperpigmentation – Another type of hyperpigmentation that is less affected by lifestyle is PIH. This type of hyperpigmentation usually occurs after the skin has been affected by some other type of skin disorder. Common skin conditions like dermatitis and acne can produce effects that cause hyperpigmentation. Acne blemishes are notorious for leaving dark marks behind after they heal while eczema commonly leaves white or red patches on the skin. Of all the forms of hyperpigmentation, those with deep and dark skin tones are affected by Post-Inflammatory Hyperpigmentation the most. Regardless of what type of hyperpigmentation you find yourself dealing with and why, all most people really want to know is, how to get rid of it. Of course, the best way to get rid of hyperpigmentation is to use preventative measures to avoid it in the first place. You’ll want to make sure you’re incorporating the best lifestyle practices to help prevent hyperpigmentation. Taking the steps to protect your skin from sun exposure is one of the easiest ways to prevent hyperpigmentation like sun spots. Always be sure to wear broad-spectrum sunscreen if you’ll be traveling outside in the sun and cover your skin as much as possible. It’s also a good idea to eat a balanced diet full of skin-loving foods that are rich in amino acids, antioxidants, vitamins, and minerals. A poor diet can have a direct effect on your complexion and even encourage hyperpigmentation along with other common skin conditions. Leafy greens, berries, fish, and healthy fats are a great place to start for a hyperpigmentation preventing diet. Once you find yourself dealing with those first signs of hyperpigmentation, you want to jump on treatment right away. The most effective way to get rid of hyperpigmentation is to begin using hyperpigmentation lightening creams and other skin brightening products as soon as possible. 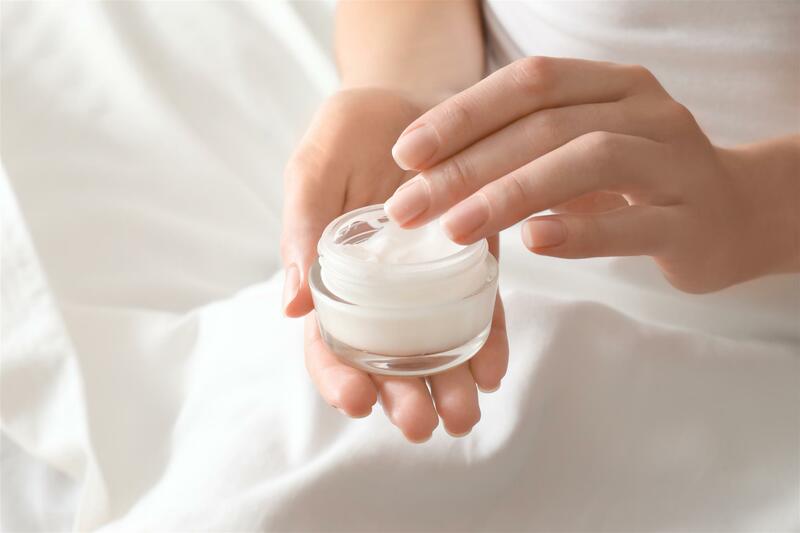 Along with products that work to brighten the skin, you’ll also want to add in a few products that stimulate the skin’s natural regeneration process. The better your skin is able to produce the nutrients that promote good skin health, the easier it will be to reverse and get rid of hyperpigmentation quickly. There are also many natural treatments you can begin incorporating into both your skin care and health routines. Using natural remedies and health supplements can help reverse hyperpigmentation and reduce its effects on the skin. The easiest and most straightforward way to deal with hyperpigmentation is with using a hyperpigmentation cream. These creams are available in both over-the-counter and prescription grade strengths to target and lighten hyperpigmentation. With hyperpigmentation creams, one of the key ingredients is the powerful—and slightly controversial—hydroquinone. Hydroquinone is a chemical based skin care ingredient that works to lighten the skin by limiting the amount of melanin the skin produces. Because of this, it’s also a popular ingredient in many skin bleaching creams. Hydroquinone hyperpigmentation creams are available in low doses over-the-counter, however, for those who have more difficult hyperpigmentation issues, your dermatologist may be able to provide a hyperpigmentation cream that contains a higher concentrated dose. There are a few things to keep in mind when using hydroquinone based hyperpigmentation creams. Irritation and redness are common side effects of using a hydroquinone hyperpigmentation cream. Also, hydroquinone is known to increase sensitivity in the skin so you’ll want to limit your sun exposure as much as possible. It’s important to note that there is some debate regarding the safety of hydroquinone for hyperpigmentation, however, when overseen by a medical professional, it is safe to use. If you’d prefer to use something other than hydroquinone to treat your hyperpigmentation, other prescription grade hyperpigmentation creams may include ingredients like tretinoin, a vitamin A derivative that is known to help stimulate skin cell growth. This potent brightener is typically prescribed by a skincare professional but lower doses can be found in over the counter cosmetic creams as well. While hydroquinone is known for its power and effectiveness, if you decide to go this route be prepared. Hydroquinone can actually make your skin more susceptible to sun damage so you’ll need to be extra careful when exposed to the sun. It’s also important to note that if your hyperpigmentation is caused by pregnancy like melasma, you must steer clear of hydroquinone based products, even those that can be bought over the counter as it’s not safe to use while pregnant. Collagen and elastin – these are the two essential proteins that help to strengthen the skin and improve its elasticity. Our bodies naturally produce these two nutrients, however, as we age, collagen and elastin production slows which leads to weaker skin that is prone to damage like hyperpigmentation. When choosing a hyperpigmentation cream, look for one that either contains collagen and elastin or works to stimulate production. You can also incorporate collagen into your diet by using collagen supplements. Vitamin C – This vitamin is known for its brightening properties so when it comes to hyperpigmentation it can be quite the natural remedy. 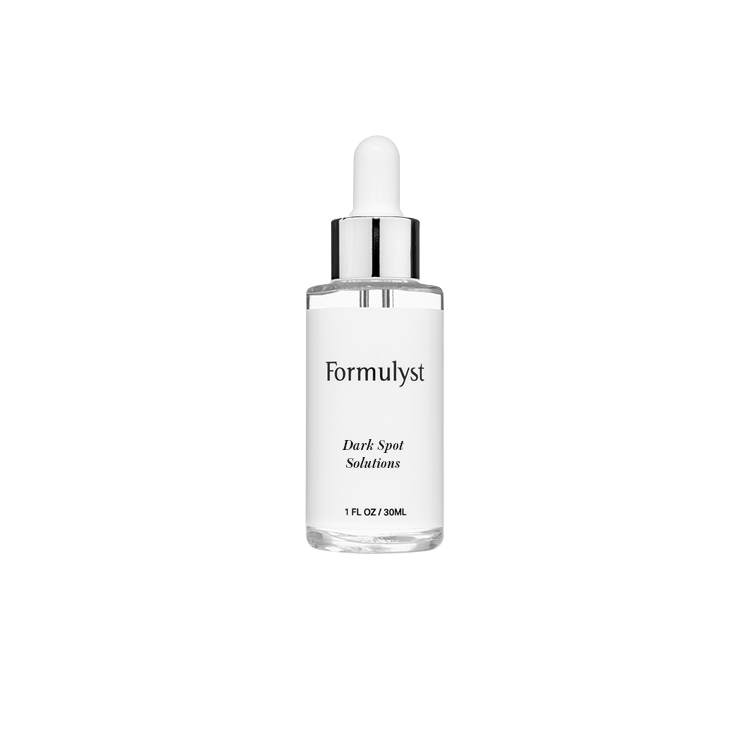 There are many popular vitamin C serums available that help brighten the skin and add a bit of antioxidant protection. You can even opt to make your own vitamin C hyperpigmentation oil by mixing in a few other skin soothing ingredients like lavender and aloe vera. Essential Oils – In the health and wellness space, essential oils have been gaining popularity for their numerous healing effects. For hyperpigmentation, in particular, lemon essential oils does a really great job at helping to neutralize dark spots on the skin. A word of caution. Never apply pure essential oil straight to the skin without a carrier oil to help dilute. Try mixing lemon essential oil with jojoba oil for a DIY homemade hyperpigmentation treatment to help fade acne scars. If vitamin C serums and chemical strength brightening creams still aren’t enough to restore your skin, there are a number of cosmetic procedures that may give you the relief you are looking for. Some of the most common skin procedures used to treat hyperpigmentation include chemical peels or microdermabrasion. There are also various types of laser therapies that can be used to treat certain degrees of hyperpigmentation. These kinds of intense treatments, done by a professional, can help with uneven skin tone and speed up the healing process. That being said, it can still take a few sessions to see improvement in the skin so patience when dealing with hyperpigmentation is key. When the natural remedies and prescription-grade hyperpigmentation creams aren’t able to get the job done, you may want to try a more advanced hyperpigmentation treatment. Laser hyperpigmentation treatments are often highly effective, quick, and easy to do. Infrared lasers target the area of the skin affected by hyperpigmentation to gently remove it. There are also more aggressive hyperpigmentation treatments like chemical peels that work to remove the top layer of the skin to allow for healthy new skin to take its place.